A cylinder seal from the Yale Babylonian collection. 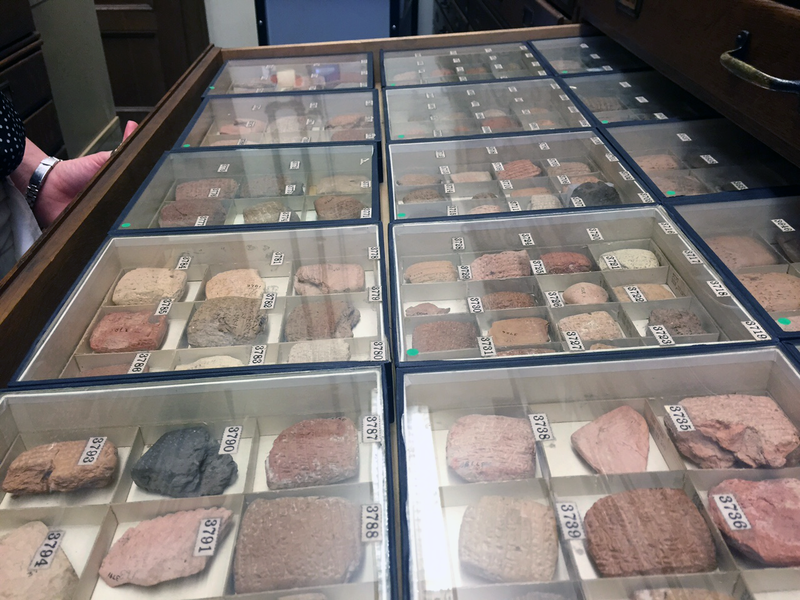 Clay tablets from the Yale Babylonian collection. 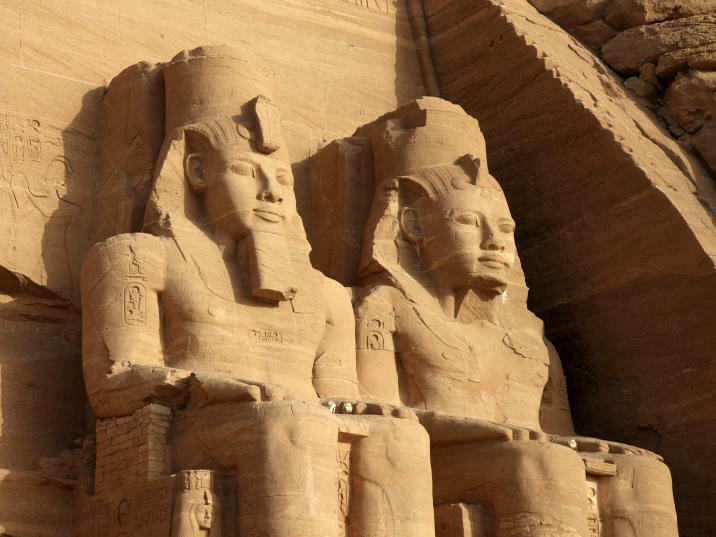 The ancient Mesopotamia artisans who crafted the cylinders were actually called seal carvers. 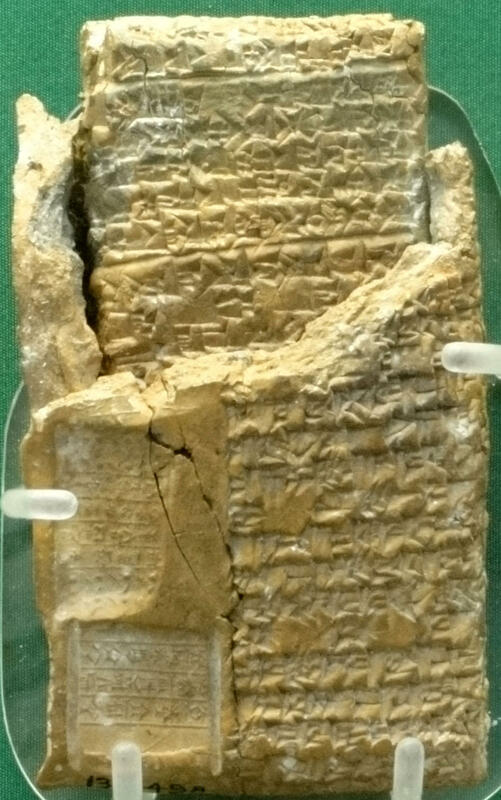 Clay tablet from Alalakh still in clay envelope from the British museum. Dated 1720 BC. The Yale Babylonian Collection has been given an immense trove of ancient artifacts from the Near East. 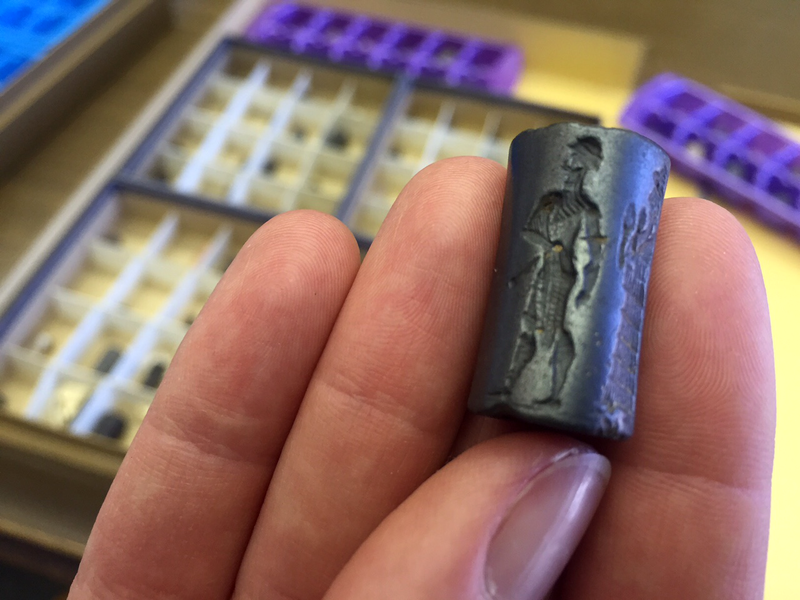 Among the items in the collection are hundreds of cylinder seals. Cylinder seals were used for centuries in ancient Mesopotamia, dating back to the third and fourth millennia. The thumb-sized cylinders were intricately etched by artisans so when the cylinder was rolled over wet clay, the etchings left a distinct and elaborate imprint in the clay. "They served as a signature, especially for legal and economic tablets," said Agnete Lassen, associate curator of the Yale Babylonian Collection. Lassen demonstrates with a wallet-sized square of dry clay. The corner has been chipped off to reveal a tablet inside. Lassen explains that the artifact was the modern equivalent of a letter - a clay tablet wrapped in a clay envelope. "This is an economic document. This is the contract in here," says Lassen as she points to the tablet inside, "they wrapped it in a clay envelope, and then the person who was made liable in that contract, he placed his seal all around the envelope. So we have this signature use of the seal." The clay envelope is covered in images made by the cylinder seal. Group of seals from the Yale Babylonian collection. Lassen said that at various times in ancient Mesopotamia, the artisans who crafted the cylinders were actually called seal carvers. Using wheels, drills, and other innovative techniques, the cylinder evolved through the years. "Early cylinders were larger, and made from softer stones or shells," said Lassen. 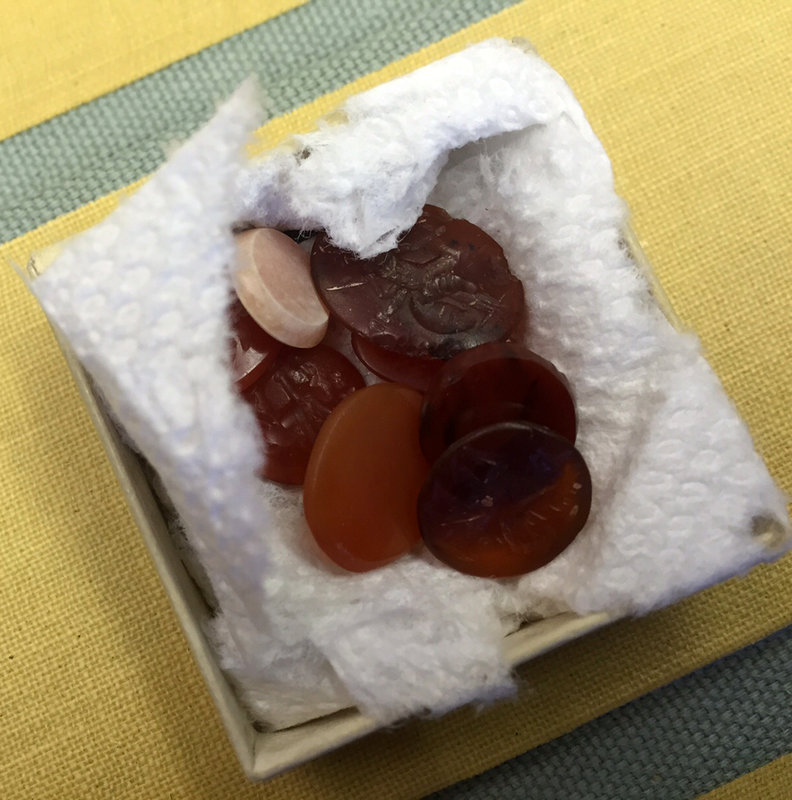 "Later, the cylinders were smaller, more intricate, and made from harder stones." Artisans also made cylinders from precious materials, making them status symbols. The Yale Babylonian Collection recently acquired 360 cylinders as part of a larger collection of Near Eastern works of art. The donation was made by Olga Draiggs and William David. The collection was obtained in the early 20th century by David's father, Elias Solomon David. The Yale Babylonian Collection houses over 45,000 ancient artifacts, and is the largest collection of its kind in North America. Since the ISIS takeover of Palmyra in Syria, hundreds are feared killed by the so-called Islamic State. Amateur videos posted online yesterday also appear to show buildings of the ancient city damaged in the fighting. 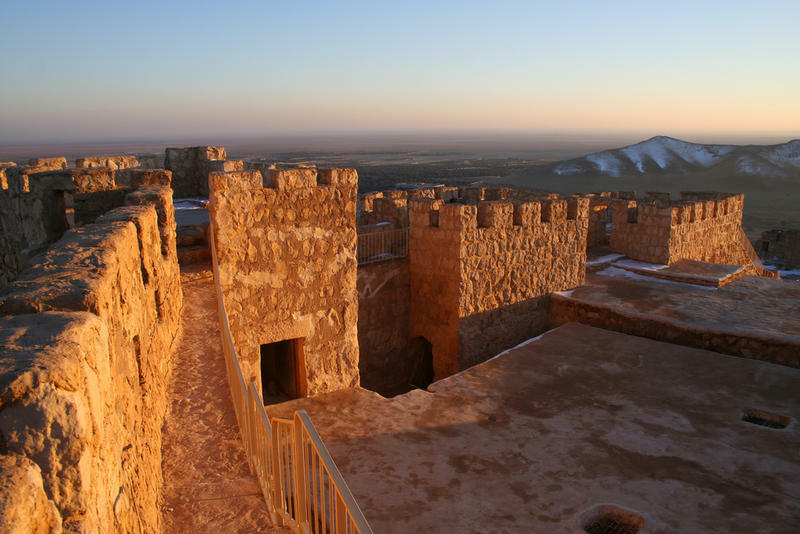 Palmyra is considered to be one of the most important cultural centers in the world. Just over 200 years after Jesus died, in 240 A.D., someone made a wall-painting of a woman in a house in the ancient city of Dura Europos, now in modern Syria. Almost seventeen centuries later, in the 1920s, Yale archeologists found the painting while excavating Dura. 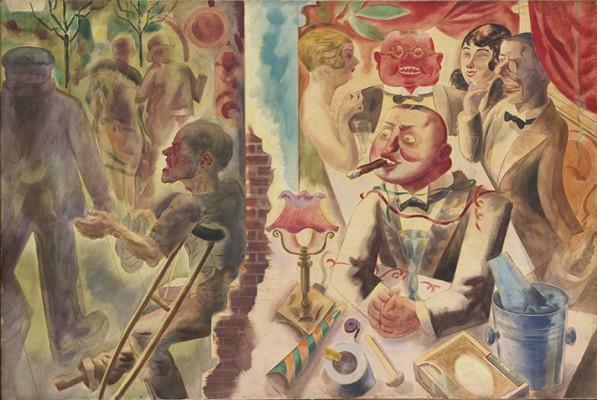 Yale University Art Gallery is celebrating the centennial of the art movement known as Dada with a series of events, a major exhibition, and a Dada Ball.